The Glass Slipper Challenge (GSC) consists of running the 10K (6.2 miles) on Saturday and a half marathon (13.1 miles) on Sunday. After you finish each run you receive a beautiful participation medal and then a challenge medal for completing both events during the Princess Half Marathon weekend in February. Earlier this year my Mom, Vanessa Prince, was training for the GSC when she came across the Boyles’ story and shared it with me. We were excited for the Boyles as we have to get permission to run with my wheelchair in the runDisney 5Ks. My Mom reached out to Dan Boyle and told him my story about running at Walt Disney World and Disneyland. She explained how the Expo and races would work and gave him some advice on possible transportation issues. As part of the WDWRadio Running Team, she asked if Dan and Courteney would like to stop and get a group photo with the WDW Radio Running Team. Unfortunately, due to transportation problems, the running team was unable to meet the Boyles. 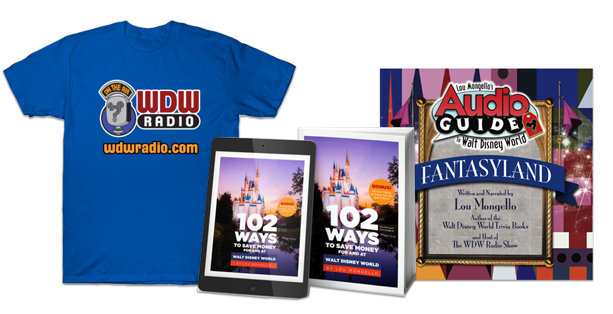 Before the GSC, Dan was not aware of WDW Radio, Lou Mongello or the WDW Radio Running Team and the funds they raise for Make-A-Wish through The Dream Team Project. Prior to the Glass Slipper Challenge at the runDisney Princess Half Marathon, I asked Dan Boyle if I could write a blog post about his adventure in running with Courteney. I would like to personally thank the Boyle family for being persistent with runDisney in making Courteney’s dream come true and for paving the way for other wheelchair participants. Following are the questions that I asked Dan Boyle regarding the runDisney Princess Glass Slipper Challenge 2016 at WDW. We look forward to more adventures in running with Dan and Courteney. We are so excited to hear about your participation in the runDisney Princess Half Marathon Weekend. Can you give a little background information on Courteney? 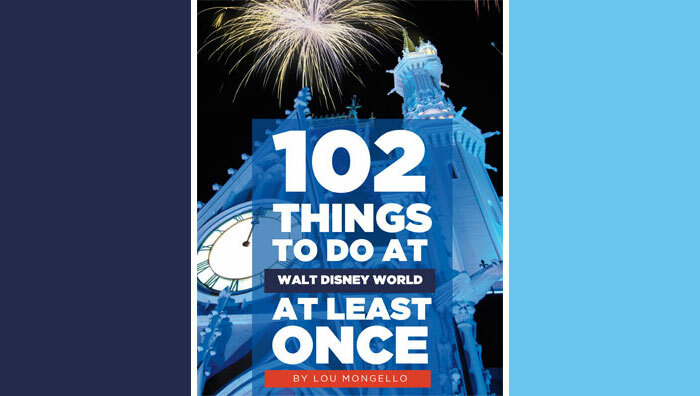 Has your family been to Walt Disney World before? Who traveled with you for this adventure? Only the three of us, Courteney, her Mom Christine, and myself went. Our son, with his needs, could not join us. We NEVER would have made it out of the hotel by [3:30] AM each morning had he!!! Is Courteney a Disney fan, and who is her favorite? Courteney is a huge Disney Fan!!! Her absolute favorite is Mickey Mouse with Princesses Cinderella and Rapunzel in close second. Rounding it out would be Gaston! Which character did Courteney enjoy meeting? How did you hear about runDisney races last year? Why did you decide on the Glass Slipper Challenge? We learned about runDisney races by accident when on a third party’s website looking at that group’s particular fundraisers for the year. We saw that they were having a running team for the Disney Princess Half-Marathon weekend in February 2015. We decided on the Glass Slipper Challenge, as opposed to other runDisney races, because the Princess theme of the weekend fits Courteney best! Was this your first half marathon? or did you run one before as part of your training? This was both mine and Courteney’s first half marathon. In training I had never planned on more than an 11 mile run. When you trained did you run alone or take Courteney every time? Because we live in Cleveland, and the event was in February, all training was without Courteney. My goal was to get in my best physical shape, getting my times down, knowing that by adding her, my time would then go back up! I read that a special running wheelchair was provided for you to use? How/who arranged for the chair? Can we name the company in the article? A running wheelchair was indeed provided. We had never thought of one in the past based mostly on cost. The founder of Ainsley’s Angels of America provided us with a brand new chair to use for the weekend. It was a gift for making it possible for Ainsley’s Angels of America runners and pushers to be included in future runDisney events. Was the running wheelchair easy to use since you did not get to practice with it? I tried it out at the house, got Courteney comfortable in it, and had no issue at all in using at the event. It was so easy to push and maneuver! What was your/Courteney’s favorite memory of the Princess Weekend? There are too many to list!!! One, it was incredible when other runners on our first bus trip to the first day’s run knew of Courteney and her story and cheered for her on that ride! Two, it was crazy awesome when Courteney and I were led to the front of the 10K starting area for the run. Thousands of runners cheered her on as we made our way to the starting position. Three, on day two it was unreal when we entered into the Magic Kingdom! Seeing the castle in pink and purple was breathtaking! Running through the castle and meeting lots of characters in the park was so awesome. Also, having Christine at the finish line both days to award us our medals was priceless! How did the other participants in the runs react to you and Courteney? See above! Plus, and I cannot even explain how this happened, but hundreds and hundreds of runners and spectators cheered her on by name on the courses! Somehow, they knew her story and who she was and cheered for her and her participation! What was Courteney’s reaction and yours when you ran across the finish line? We were both crazy excited to finish, plus having mom there to award Courteney her medals was so incredible of a bonus! Can you tell me more about the special Mickey Mouse medal that Courteney received? So, before our trip, I set up an “In-room” Triumph Celebration. Disney offers this add-on and I purchased it. It gave her the medal, personalized certificate, balloons, and banners…all celebrating her accomplishment for completing the Glass Slipper Challenge. How was your experience with the transportation to/from the races? The transportation to and from the races was the low-light of the trip. Unfortunately, the buses chartered to get participants to and from the races were not wheelchair accessible. There was lots of miscommunication as to when accessible ones would be sent. We were late both mornings to the race, and on Sunday, the return to the hotel was also much delayed when an accessible vehicle could not be secured. I see you ran the half in pretty good time. Were you able to make character stops? Which was your favorite? We had a great time for the half, considering there was two of us! Our time for the 10K was a faster pace per mile on Saturday, but Sunday wasn’t too bad either! I told Courteney that we’d run fast in the parking lots between Epcot and MK and then slow down inside MK to enjoy the sights, the sounds, and all of the characters! So we did! We made every character stop along the Half-Marathon course! Totally awesome! Our favorite…probably Belle and Beast, but we honestly loved every one of them! How was your visit to the Magic Kingdom? The visit was short and incredibly sweet. We had just the chance go to the MK the day of the half-marathon. While Courteney and I were pretty tired, she was a trooper! She pretty much stayed awake all day and enjoyed every moment of it! We met Mickey, Anna, Elsa, Cinderella, Rapunzel, and Tinker Bell. We did Belle’s Storybook Time, rode It’s a Small World, Aladdin’s Magic Carpet Ride, and plenty of others! Then we finished the night with great viewing of the SpectroMagic Parade…one of our absolute faves! Best part…lots of people in the park knew of Courteney from the races too! Crazy!!! All in all, a tremendous day! What was Give Kids The World Village like? Had you been there before? Can you explain it a little to me as I have never been there myself. Our visit on the Friday before the two runs to Give Kids the World was so awesome! We got to spend the day there and visit a place that we had previously stayed for both of our children’s Make-A-Wish trips. You can only stay at Give Kids the World if you are on a Wish trip to Disney, but you can always return for a day as an alumni, and that is exactly what we did with Courteney that day. But, since GKTW is writing a story on Courteney’s run, we got to meet with the writer of that article and she even gave us a behind the scenes look at GKTW. Being able to do that, coupled with a trip to the Ice Cream Palace, fun on the Carousel at the Castle of Miracles and on Lori’s Magical Flight, and dinner at Towne Hall, all made for an excellent day visiting our favorite place we’ve ever stayed! To learn more about GKTW you can visit their website at http://gktw.org. Do you think you will run another runDisney race? Which one? YES!!!! We WILL run another runDisney race. At this time, we’re planning on the Disney Princess Half-Marathon Weekend 2017. Can you tell me who you raised donations for again? How much did you raise in donations? I hope you enjoyed my Q&A with Dan Boyle and his daughter, Courteney, about being the first non-racing wheelchair participant at the runDisney Princess Half Marathon Weekend. Please be sure to look into the WDWRadio Running Team and Dream Team Project. I am hoping to meet up with the Boyle family as we both live in Northern Ohio. Thank you Aaron, I had fun writing it!